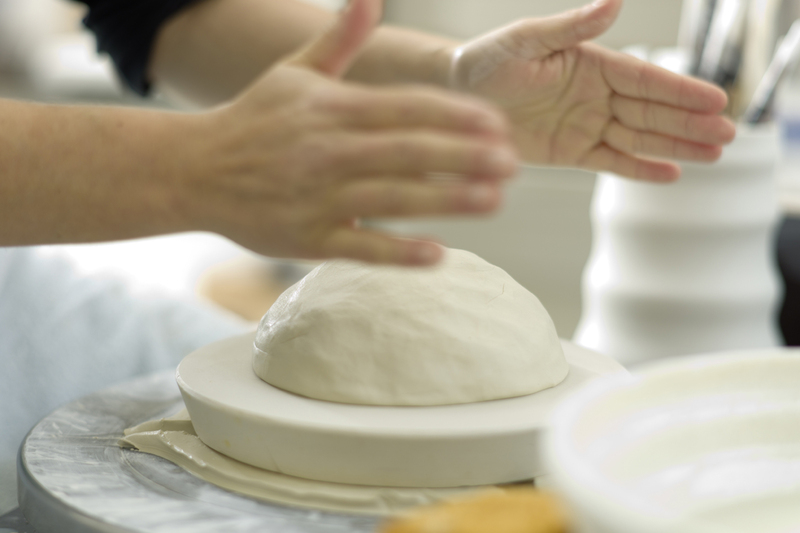 Throwing is action, movement shapes clay and space into a vessel, an object. 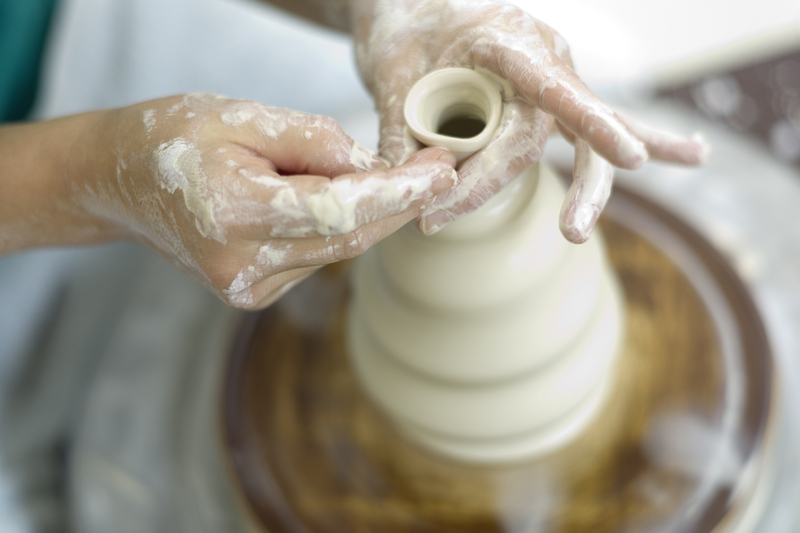 I am making things in a traditional way on the potters wheel. 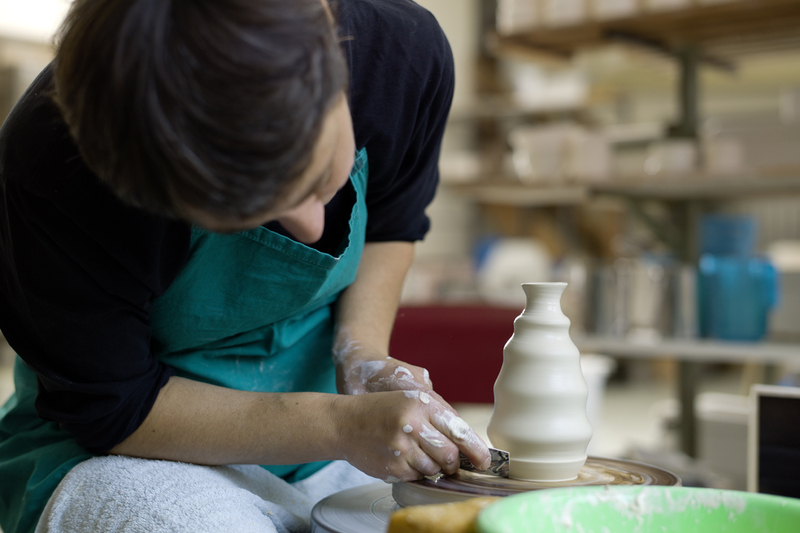 As a ceramist all concepts start with the commitment to clay and its range of symbols and functionality. 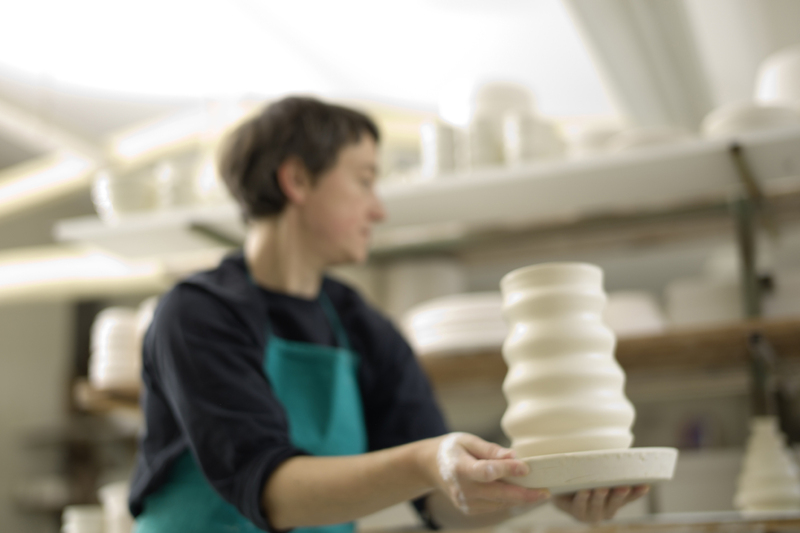 I love porcelain and enjoy throwing day to day objects which in a subtle way evoke sensuality. Cups, plates, bowls or vases can tell stories, they suggest associations and bring to mind sentiments and memories – they want to be touched and used.